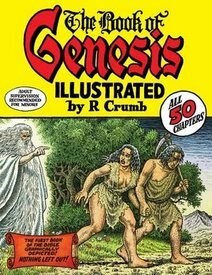 The Copacetic Comics Company | The Book of Genesis, Illustrated by R.
Yes, here it is: the most talked about book in comics. Five years at the drawing board hath wrought Crumb's own pen & ink rendering of the West's origin myth. Crumb, as he warned and as we would naturally expect, hasn't pulled any punches and has illustrated this tale as written, warts and all. Crumb says it best himself in his introduction: "I, R. Crumb, the illustrator of this book, have, to the best of my ability, faithfully reproduced every word of the original text... Every other comic book version of The Bible that I've seen contains passages of completely made-up narrative and dialogue, in an attempt to streamline and 'modernize' the old scriptures, and still, these various comic book Bibles all claim to adhere to the belief that the Bible is 'the word of God' or 'inspired by God,' whereas I, ironically, do not believe the Bible is 'the word of God.' I believe it is the words of men. It is, nonetheless, a powerful text with layers of meaning that reach deep into our collective consciousness, our historical consciousness, if you will. 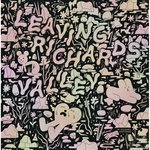 It seems to be an inspired work but I believe that its power derives from its having been a collective endeavor that evolved and condensed over many generations ..." Every line in this book is hand drawn. The only mechanical text is on the copyright page, the inside jacket flaps, and the commentary in the addendum. It's the Bible! It's a comic book! It's Crumb! It is, in short, amazing. Dive right in with this preview. Update: Due to R. "crotchety oldster or painstaking perfectionist - you decide!" Crumb's insistence that this book be printed exclusively on one, specific paper stock which is manufactured only once a month and in quantitities that are unable to meet the demand for this book, we have been having a hard time tracking down enough copies. However, we just received a nice restock, so we are once again offering our standard Copacetic discount!